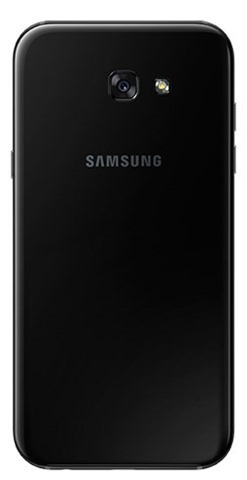 Samsung has launched three new Phones, in its Galaxy A series, in Russia. 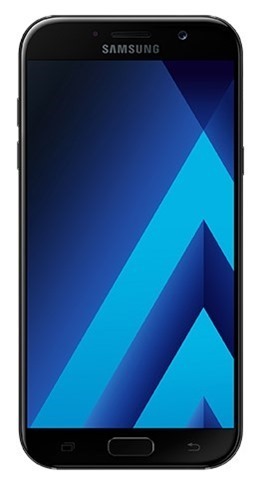 The phones are the Samsung Galaxy A7 2017, the Galaxy A5 2017 and the Galaxy A3 2017. All three phones are quite similar in design, with Always on display, a USB Type-C port, a metal frame and 3D glass back, and the usual home key, which houses a finger print scanner. There is The phones are IP68 certified water and dust resistance. There are a few minor differences among the devices. 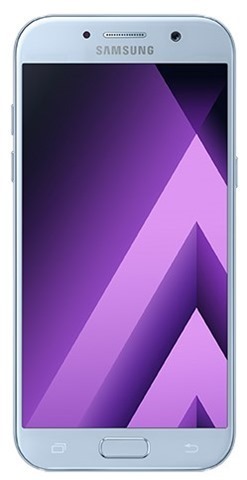 The Samsung Galaxy A7 2017 features a 5.7” FHD 1080p Super AMOLED display, and runs on Android 6.0.1 Marshmallow. The phone is powered by a 1.9GHz Octa Core processor (likely the Exynos 7880 SoC), and has 3GB of RAM, and 32GB of internal storage, with a micro SD slot providing up to 256GB of expandable storage. The phone's photography options include a 16.0-megapixel rear camera with an f/1.9 aperture, with autofocus, and a similar front facing camera. The device is backed by a 3,600mAh battery which supports Fast Charging. The Samsung Galaxy A5 2017 sports a 5.2” FHD 1080p Super AMOLED display, and is powered by a 3,000mAh battery which supports Fast Charging. 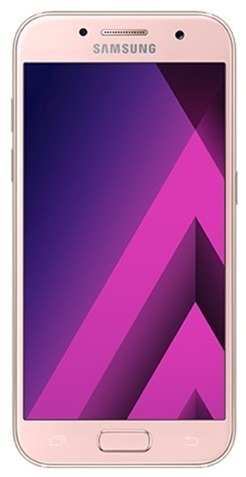 The rest of the A5 2017's specifications are similar to that of the A7 2017. 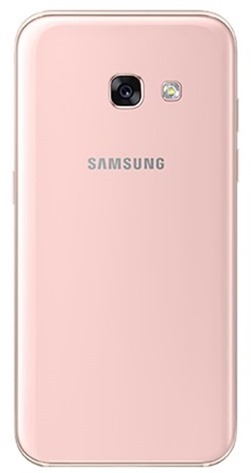 The Samsung Galaxy A3 2017 has a 4.7” HD 720p Super AMOLED display, and runs on Android 6.0.1 Marshmallow. The phone is powered by a 1.6GHz Octa Core processor, 2GB of RAM, and has 16GB of internal storage, with a micro SD slot providing up to 256GB of expandable storage. The phone's photography department comprises of a 13.0-megapixel rear camera with an f/1.9 aperture, with autofocus, and an 8.0-megapixel front facing camera. The device is backed by a 2,350mAh battery which supports Fast Charging. The Galaxy A 2017 phones will be available in four colours: Black Sky, Gold Sand, Blue Mist and Peach Cloud. The phones will be available in Russia in early-January, and will be launched in global markets later.